Combo Units | Central Alberta Rentals | Go Services Inc.
Go Services Inc. provides Combo Unit Rentals for mobile work-sites. These units are designed to move with your project. 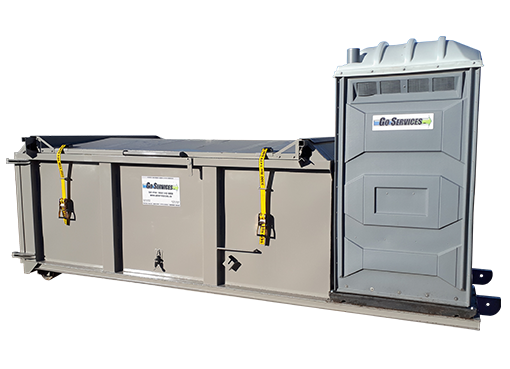 Each unit comes with two Heated Portable Toilets, a Light Tower, a Waste Bin, and more! 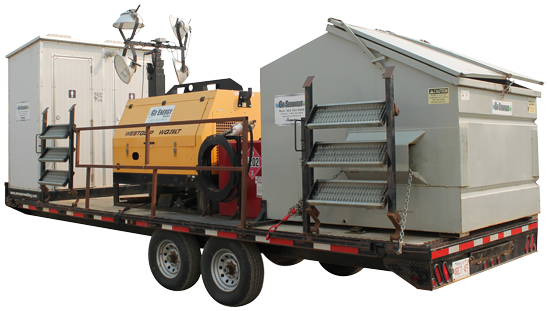 These units are designed to work with you, and Go Services Inc. will work with you to customize these units as you need it for your Industrial, Commercial or Oilfield project. Depending on your site needs, we also have Skidded Units Available! 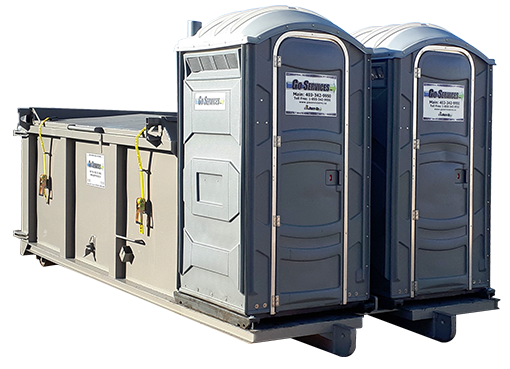 These units can be outfitted with Standard Porta-Potties, as well as Heated Toilets. Further, these units offer a larger lidded Waste Bin than our Trailer Units.